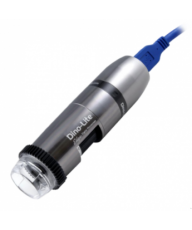 Coaxial halogen 6V150W light source with variable rheostat control - without transformer - for use with RZ series stands. 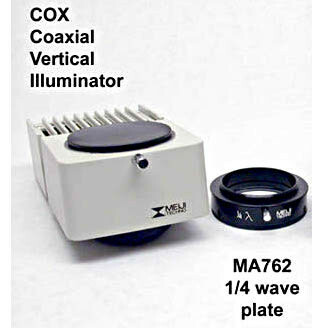 To be used with MA762 1/4 Wave Plate, (shown) sold separately. 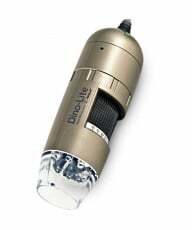 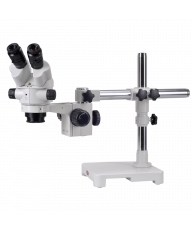 The Cox coaxial vertical illuminator is particularly useful as it increases the magnification by 1.5x by directing light from a 6V/30W halogen lamp through the objective onto the specimen, thereby increasing the optical path and the magnification. 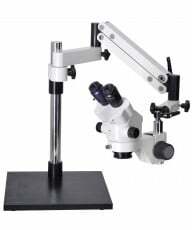 The illuminator is powered by a free-standing transformer (MA651, sold separately) and directs variable intensity light vertically down through the objective onto the specimen and is rotated to achieve the desired effect. 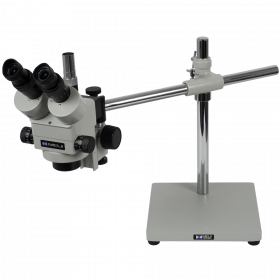 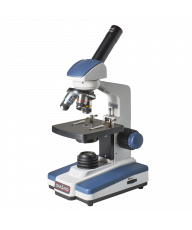 With the aid of the required 1/4 wave plate (MA762, sold separately) you can achieve startlingly clear, shadow and glare-free views of reflective specimens at high magnifications.